Kumar Sangakkara’s last five County Championship innings have been 136, 105, 114, 120 and 200. Today’s double hundred came in a team total of just 369. And he wasn’t even put off by snapping his bat in half. Sanga’s bat ends up in two pieces off the bowling of Wagner, and there’s a brief break whilst he collects another. It’s hard to avoid the sense that he’s playing completely the wrong standard of cricket. We know it’s only mid-season and there are plenty of matches to come, but form like this demands only one thing: that Kumar Sangakkara’s dad get him a Transformer as a reward. But will he get him one? We doubt it. Kshema Sangakkara described his son’s four hundreds in four matches at the World Cup as “a good achievement” and went on to outline the yardstick against which he is measured. But on the off chance that Kshema’s softening in the twilight days of his son’s playing career, we’re going to recommend that he invest in Ultramagnus as a gift for him. In vehicle form, Ultramagnus is capable of carrying his mates, so he seems an appropriate choice. Remember The Magic Numbers? Are they still going? Wikipedia says they are. Chart positions say they aren’t really. But this post isn’t about The Magic Numbers. It’s about Kumar Sangakkara’s magic numbers. Scorecards never tell you the full story, but when a batsman’s made 203 out of 356 in response to the home team’s 221, you have a pretty comprehensive synopsis. How could that be anything other than an exceptional innings? Without wishing to sound like we’re announcing the National Lottery results, here’s another magic number for you as a bonus. In the 82 Tests in which he hasn’t kept wicket, Kumar Sangakkara’s batting average is 69.85. 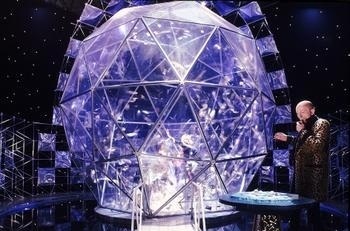 Building a reputation as a batsman is not unlike being a contestant on the perennially disappointing Nineties game show, The Crystal Maze. You spend your life in the nets, honing your technique and earning crystals and then you get to try and make the most of it in the Crystal Dome of Test cricket. The gold and silver tokens represent your performance in every conceivable circumstance against every possible opponent and as they billow around you, the best you can do is clutch blindly and madly, hoping you end up with enough to seal your reputation. After a while, Richard O’Brien yells “Stop the fans!” and then the world’s amateur cricket analysts scrutinise your bounty. 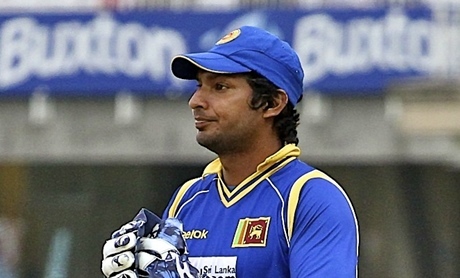 “Have you got the ‘scoring runs in England’ token?” they ask Kumar Sangakkara. “I’ve got the silver one, not the gold,” he replies. Sangakkara can be fairly pleased with that. You can’t get all the tokens. There are too many to hold and half of them you won’t even have seen while you were in the Crystal Dome. Test cricket token acquisition is largely an exercise in damage limitation. Even Don Bradman missed tokens. He thought he’d done well, but then after he retired they started adding tokens for Test matches played in places other than England or Australia, so he had none of those. It’s not a great film title, but we’d watch. We will watch, in fact. Kumar Sangakkara had two years as captain, but, like Mahela Jayawardene before him, jacked the job in because of the pressure. Unfortunately, Tillakaratne Dilshan’s minced thumb has meant Sri Lanka need a stand-in and after much ‘ah, come on, there has to be somebody else,’ Sangakkara is back. Political interference is often cited as being one of the reasons why the Sri Lanka captaincy is such a pain in the balls, but it’s all a bit vague. Is it more than that? The lack of concrete information sets your mind on a path that leads to images of suited men cheering as the Sri Lanka cricket captain unicycles semi-naked. After bringing them all cocktails served in tankards made out of polar bear feet, the men make him dance a tearful jig while pelting him with slugs. Assuming that’s all factual, you can see why Kumar Sangakkara doesn’t want the job. Things were so well-poised overnight. Sri Lanka had started their second innings really well, but both openers were out meaning their two best batsmen were at the crease. If England had managed to nick them out, they’d have been odds-on favourites. But being the best batsmen in your team tends to mean that you’re pretty competent at waving the bat around. Jayawardene eventually went for 65, but Kumar Sangakkara’s just immaculate right now. This was the fourth Test in a row that the cheeky looking ex-wicketkeeper had passed 150 and the seventh time he’s hit a hundred in the 14 innings since he put his wicketkeeping gloves in his special one-day international bag – four of those hundreds were not outs too. He’s at the point now where the opposition have to come up with a way of dismissing him before they can even think about winning a Test, let alone a series. He’s Shivnarine Chanderpaul only he plays in a good team. England’s best chance of getting Sangakkara out is to make his replacement behind the stumps, Prasanna Jayawardene, look dreadful, forcing Sangakkara to return to that position. It’s not the BEST plan ever, we’ll admit.